Support all your clients & their events with one event app platform from R@H.
... All managed with ease! Every type of event is supported with our feature-rich event app: conferences, seminars, trade shows, conventions, meetings, and more! Building an event app is simple with our event-at-a-glance dashboard to get you building with ease. Once you have an event template you love, clone it for the next client or event! Simple and flexible brand elements give each event a unique brand, with easy cloning to save your brand template for next time. User, activity, and device stats for each event are right at your fingertips. See what works and what doesn't to plan for success. 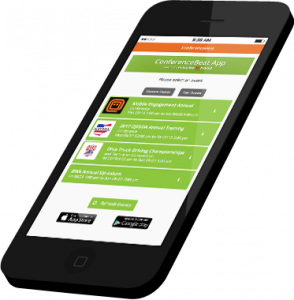 Offer the event app to clients as an added bonus or at an additional fee with flexible billing options to suit you and your clients. 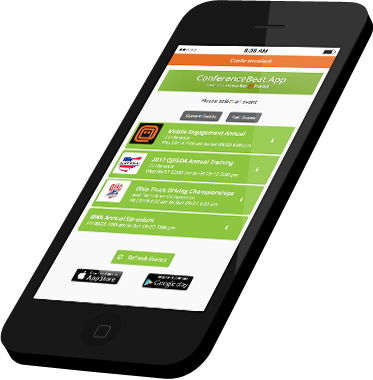 Include in-app event registration for all or some of your client events. Ask us how to add the registration module for free! Help is available to you via email, web chat, and phone. Need an event app built fast? Add $899 and we'll build it all for you! EMC branded apps in the App Store, Google Play, or a web browser. 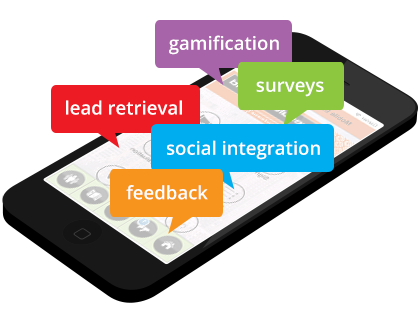 If your clients prefer their own branded apps: no problem, we can do that too! CMS permissions, event features, branding, and participant management can all be uniquely configured for each client. Exhibitors manage representatives, profiles, and track leads. Sponsors manage profiles, messages, and game participation. Speakers manage sessions, attachments, evaluations, and get a sneak peak at attendees scheduling their session. Tailor your communications, schedule, resources, and more to each participate! 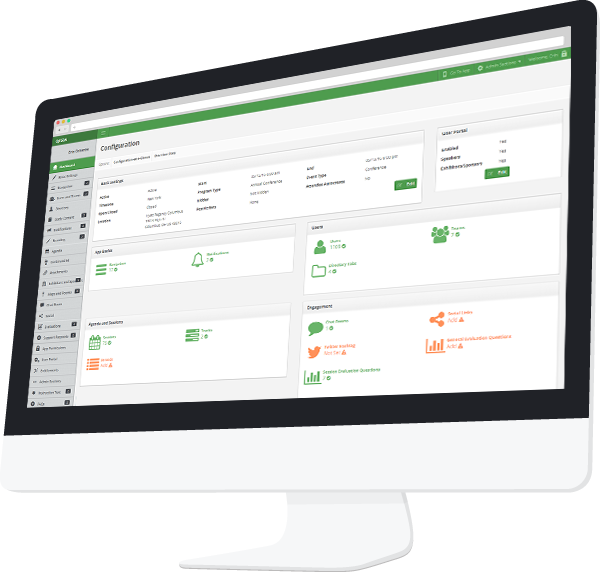 Our platform allows you to offload setup tasks to the right resources with the right permissions. Sponsorship opportunities, single or packaged, are easy to manage in the CMS admin portal. You determine the price and keep all of the revenue. Swap contact information in the app - no badge scanning required! Exhibitors have instant access to lead retrieval lists via the User Portal. Get honest feedback with evaluations and audience polling. Show real-time polling results anonymously and start discussions. Break the ice with trivia or an exhibit hall scavenger hunt! Increase the fun with pictures and a live leaderboard. Members can share pictures and Tweets. Give everyone quick access to Facebook, LinkedIn, Instagram, and Pinterest. Plus more features! For all event features, see the event app page. *May require minimum commitment & configuration fee. Pricing depends on event size and build needs.